When Jim went to Los Angeles in August 1974, he was in the midst of negotiations for an exclusive development deal with ABC. His Valentine Special had aired on the network that January garnering nice reviews, and in March, he and his representative, Bernie Brillstein, had met with ABC President, Martin Starger. A couple years before, Jim had won over ABC programming executive Michael Eisner, paving the way for the special. 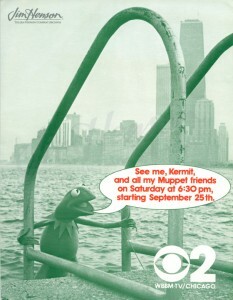 Now, Jim and Brillstein were working every angle to try to convince the network that a Muppet series was a good idea. Starger was clearly impressed with Jim, setting up the August 5th meeting with another ABC executive, Brandon Stoddard. It was a success, and ABC signed the exclusive deal a week later. A week after that, Jim met with yet another ABC executive, Squire Rushnell, to start pitching specific programming ideas. 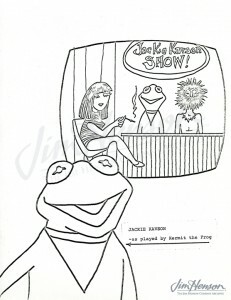 ABC aired a Herb Alpert special featuring the Muppets (and the first appearance of Miss Piggy) that fall and then in March 1975, The Muppet Show pilot. Despite Jim’s getting to know what seemed like the entire executive population at ABC, the network failed to green light a Muppet series and Jim moved on to CBS. Learn more about Jim’s work with ABC leading up to The Muppet Show, and the Muppet appearances with Herb Alpert. 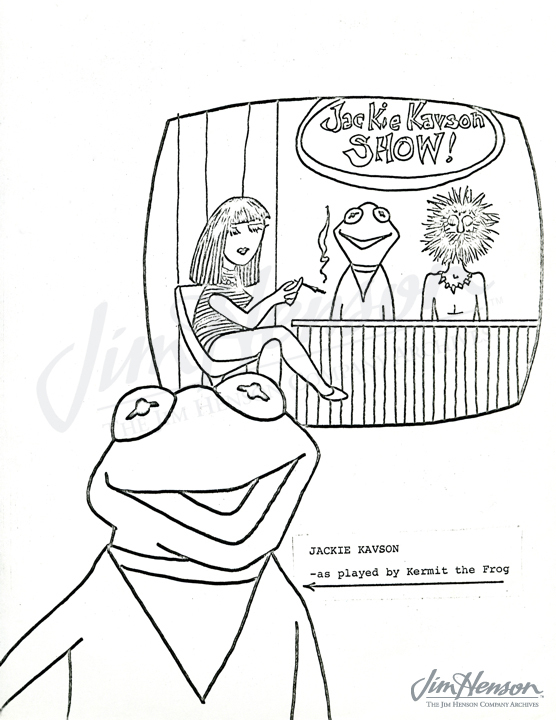 Kermit is featured in a Tonight Show parody in Jim’s pitch to ABC for a Muppet series, 1974. While The Muppet Show was produced by ATV in the UK, CBS supported the show by broadcasting it on many CBS affiliates across the US. This entry was posted in 08-August '74, Muppet Specials and tagged ABC, Bernie Brillstein, Brandon Stoddard, CBS, Martin Starger, Michael Eisner, Muppet Valentine Special, Muppets, Squire Rushnell. Bookmark the permalink.